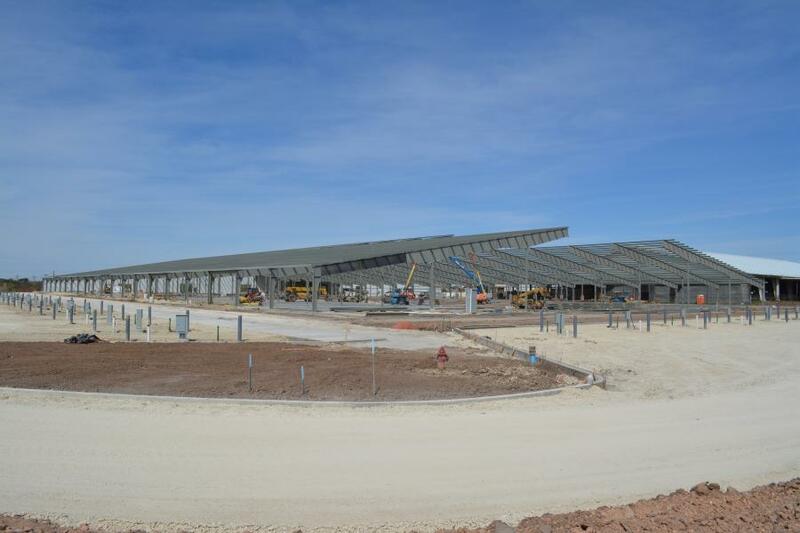 The new livestock building at the Taylor County Expo Center during construction at the Abilene site. 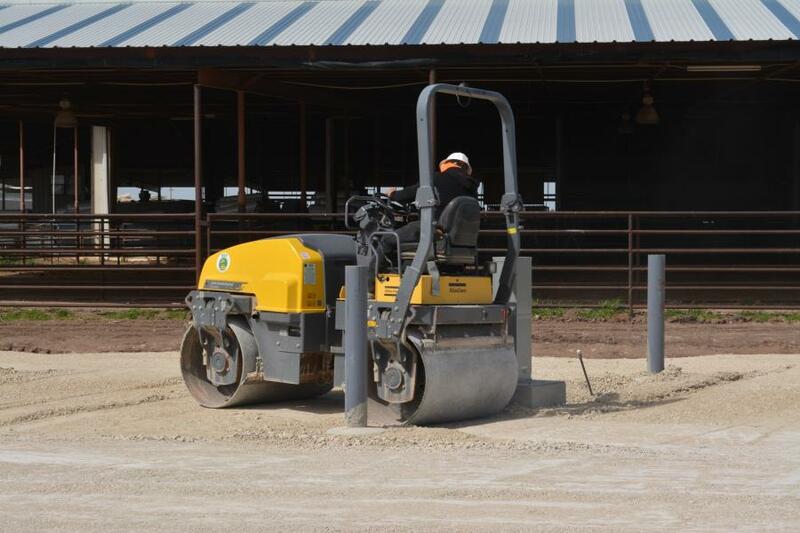 T&T Earth Movers Inc. is nearing completion of work at the new livestock building at the Taylor County Expo Center in Abilene, Texas. T&T has been responsible for all site demolition, dirt moving, concrete work and asphalt paving on the project. Lee Lewis Construction Inc. is the general contractor. The expo center's outdoor arena is being renovated and improvements will include 168 new livestock stalls and a 300-yard-long building built to house 800 stalls, a rodeo arena, concession stand and veterinary and show offices, according to Rochelle Johnson, executive vice president and general manager of the Expo Center. Additionally, 190 RV stalls are being built around the perimeter of the facility. Terry Suarez, owner of T&T, said that his company moved more than 27,000 cu. yds. of dirt during the site preparation and brought in approximately 17,000 cu. yds. of base for the asphalt paving that followed. The project, three hours away from T&T's yard in Seminole, created some logistical challenges for Suarez' team. The contract will pay T&T $1.65 million — almost equal parts site prep, concrete work and paving. T&T used mostly Caterpillar equipment on the site, including a D6TXL and D6K dozer and a 950H loader. All of the company's grading machines are equipped with SITECH grade control technology. T&T completed the RV stalls and concrete work in early April and is scheduled to return in mid-May to begin asphalt paving of the facility's parking lots. The arena work is part of the $55 million overall project for the Expo Center, made possible by a bond approved by Taylor County voters in July 2017.